BancorpSouth presents a check for $10,000 to Southern Arkansas University for the new Rodeo Arena Reception Center. Picture from left to right are First Vice President for BancorpSouth Debbie Arnold (also chairman of the SAU Foundation Board of Governors), Associate Director of Development for SAU Foundation Josh Kee, Community Bank President at BancorpSouth Steve Nipper, SAU Rodeo Coach Rusty Hayes, J.W. Rowe (Foundation Board of Governor), BancorpSouth Executive Vice President Mike Waters, Tim Daniels (Foundation Board of Governors), SAU President Dr. David Rankin, Director of SAU Foundation Jeanie Bismark and Julia Machen (Foundation Board of Governors). MAGNOLIA –BancorpSouth donated $10,000 toward the Southern Arkansas University Arena Reception Center, which will provide necessary facilities for the public attending events at the arena. The Arena Reception Center will house functions that are necessary when hosting public events and will be the “front door” for the rodeo arena. Among its features, the Reception Center will house the ticket booth, concession stand, men’s and women’s restrooms, a grilling porch, a covered concourse, an office, and a conference room. 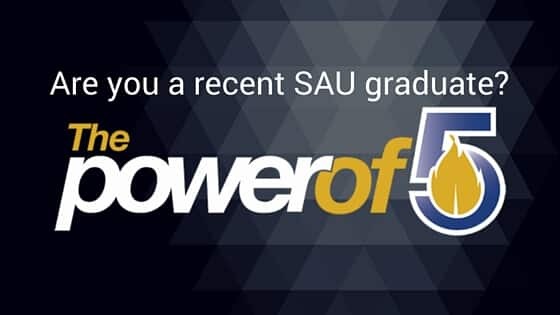 For more information on the SAU Rodeo Arena Reception Center or to learn how to be a part of this campaign, please contact the SAU Foundation at 870-235-4078.